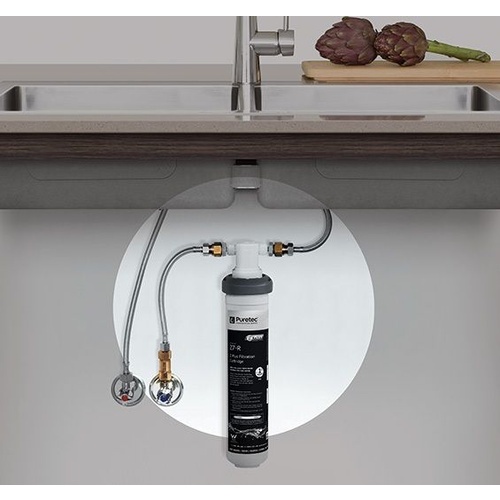 The PureMix Z7 Undersink Water Filter System transforms your mixer tap in to a filter tap! 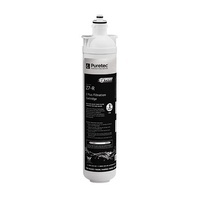 Ideal for harsh water areas it reduces sediments and particles from your water as well as chlorine and chemicals. 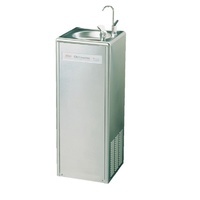 Start enjoying fresh, safe, beautiful water today. 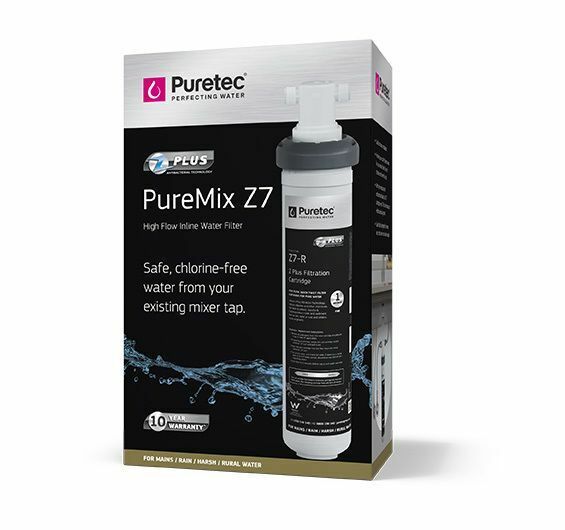 The PureMix Z7 Undersink Water Filter System by Puretec offers higher flowrates and is suited to applications with higher sediment and harsher water including rural water supplies, older homes and rainwater. 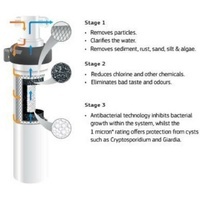 Incorporating the most advanced Z Plus Technology, water passes through multiple stages of filtration, ensuring beautiful tasting, safe drinking water from your mains water supply. 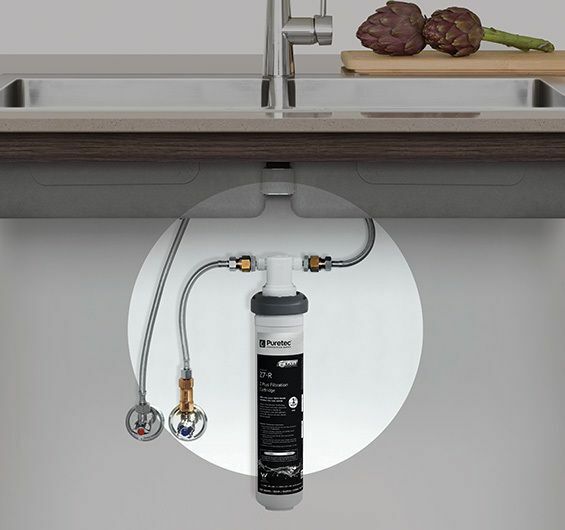 Connecting directly inline to the cold water supply of your mixer tap, the PureMix Z7 can be installed vertically or horizontally, suiting any space under the sink without modifying shelving, so easy! 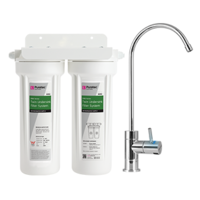 Incorporating the new valve-in-head technology, filter replacement on the new Puremix Z7 are now easier than ever without the need to isolate the water supply before replacement. 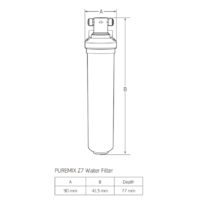 Product Enquiry Form Complete this form to email us your enquiry about FSS-PUREMIX-Z7. 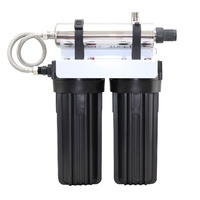 Can I use the Z7-R Water Filter in my X-7 or X6 Filter System? 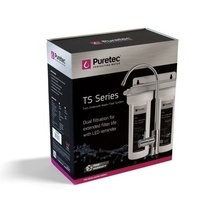 Yes, the Puretec X6 and X7 Water Filter Systems use the same cartridge format as the new Puremix Z7 and are completely interchangeable. 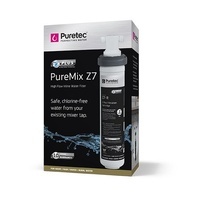 Is the Puretec Z7 Filter System safe to use with Rainwater? 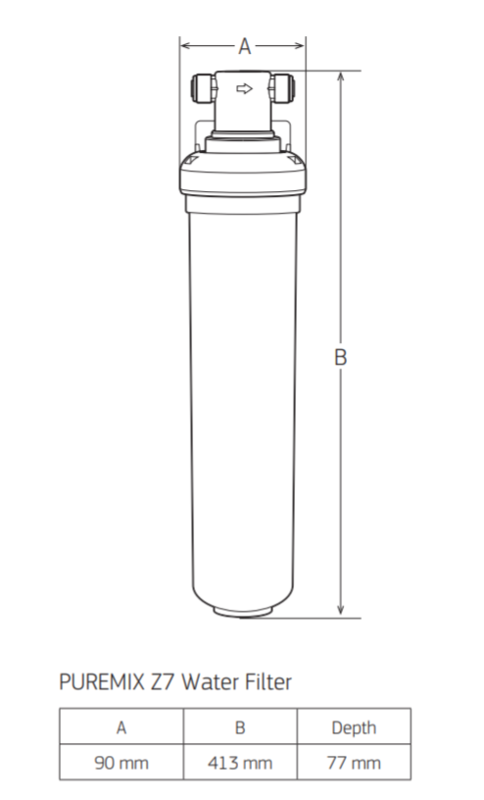 Yes, the Z7 is designed for use in older homes, high sediment areas as well as rainwater. 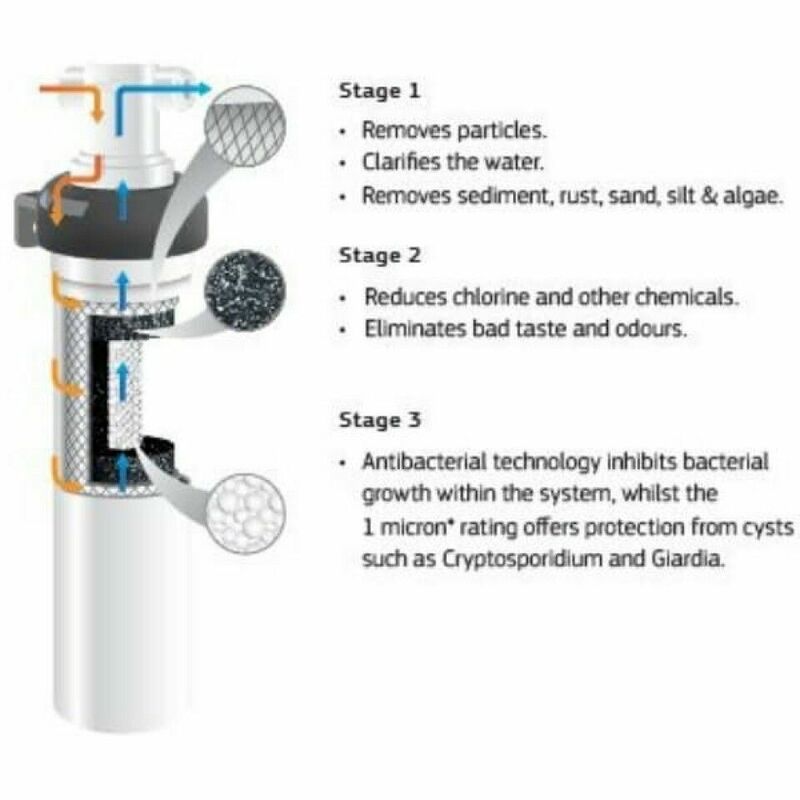 The Silver Antimicrobial technology ensures that bacteria will not grow inside the filter while the cyst-rated 1-micron filtration performance protects you from cycts such as giardia and cryptosporidium. 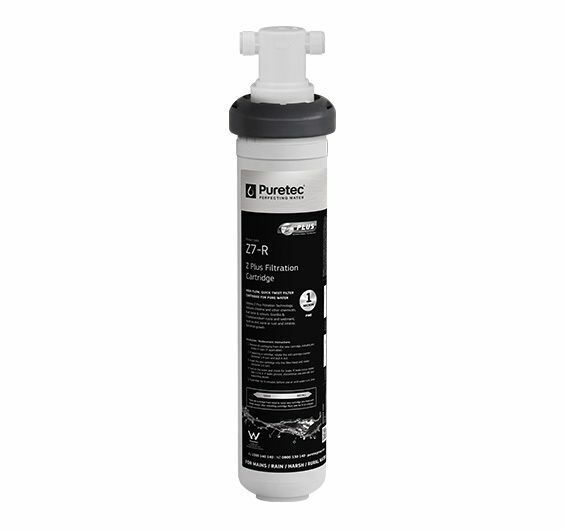 Use only genuine Puretec replacement cartridge. 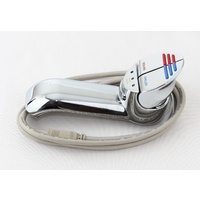 ^10 year warranty is 1 year parts and labour, plus 9 years parts only. Excludes cartridges.